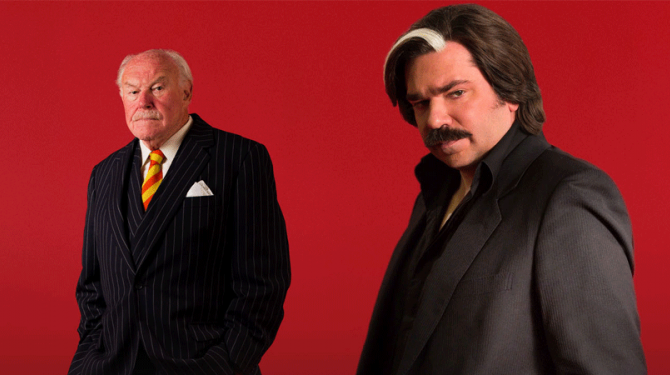 British comedy Toast of London has debuted in Australia and New Zealand on SVOD service Netflix, as part of a 200-hour deal with distributor ABC Commercial. The deal is for all three season of the Channel 4 sitcom, which Australian pubcaster the ABC distributes in Australasian through a digital sub-licensing agreement with UK distributor DRG. The series stars Matt Berry (The IT Crowd) as struggling screen and theatre actor Stephen Toast. Overall, the commercial arm of ABC has sold more than 200 hours comprising 348 episodes and 30 titles, which have been debuting over the past month. Joining cult comedy Toast on Netflix’s Australasian service are British series Black Books, Shameless and Queer as Folk, Australian comedies The Moodys and The Strange Calls, and dark comedy-drama The Straits. Irreverent sketch show Soul Mates, five David Attenborough documentaries and new content from The Wiggles have already arrived, as have other titles such as 72 Cutest Animals, Tattoo Tales and reality series Hanging with Hoges. On the kids front, Netflix has taken new episodes of Pingu, Mofy, Sesame Street and Dinosaur Train. The deal comes after the ABC appointed former Google executive Michelle Guthrie as its new managing director, replacing Mark Scott. LatAm scripted: The end of telenovelas?